FIG: Fashion Industry Gallery | Dallas, Texas - About F.I.G - What Is FIG? Fashion Industry Gallery (FIG) is a boutique wholesale venue, open to the fashion retail trade that showcases the best in women’s, men’s, and children’s contemporary, bridge sportswear, and accessories. FIG is located within a high-design, hospitality-driven-venue in the Arts District in Downtown Dallas. FIG hosts 5 apparel markets per year that coordinates with the national standard of seasonal shows. FIG was initially founded by Brook Partners Inc., and a group of agents who sought to distinguish themselves in a focused market venue that showcased contemporary wholesale collections. FIG opened its doors in January of 2004 with a dozen permanent showrooms, and with its unique offering of individualized service, has grown to house approximately 60 of the industry’s top contemporary showrooms, as well as an additional 28,000 square feet of temporary trade show space. FIG continually strives to maintain the best collections the industry has to offer, creating an atmosphere where buyers are surrounded by top quality fashions. Along with housing one of the leading fashion markets in the nation, FIG is also one of the most coveted event spaces in Dallas. The FIG special events venue is approximately 28,000 square feet that can be transformed for limitless individual, organization, corporate, and charity events. 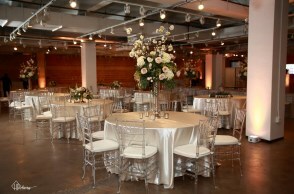 The FIG special events venue is also home to two of Dallas’ most acclaimed events, FIG Finale and The Dallas Art Fair. FIG Finale, an exclusive sale open to the public, offers insider access to top designer labels at up to 75% off retail. The Dallas Art Fair showcases prominent national and international art dealers and galleries exhibiting paintings, sculpture, drawings, prints, and photographs by modern and contemporary artists. From hotels to area attractions to dining experiences... all the information you need to make your next trip to FIG unforgettable.